Concept Racing Replica Ferarri 195 Radiator. 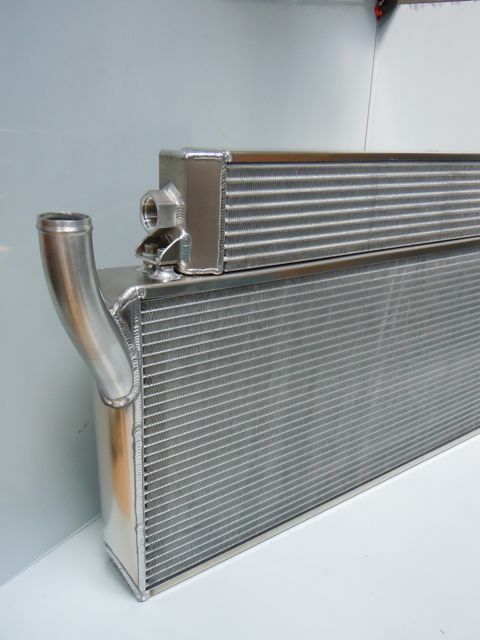 This high quality, hand made aluminium radiator was manufactured using an original sample radiator as a pattern and has provided huge weight savings and greatly improved cooling. A selection of radiators manufactured recently at Concept Racing. 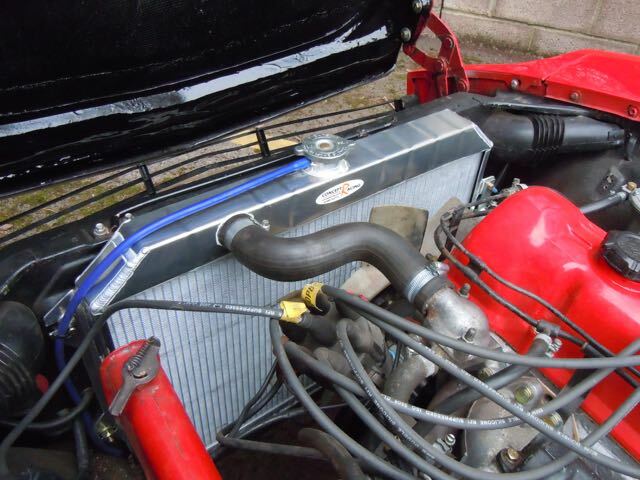 Sunbeam Tiger high efficiency aluminium radiator complete with a fan sender switch and a drain plug. 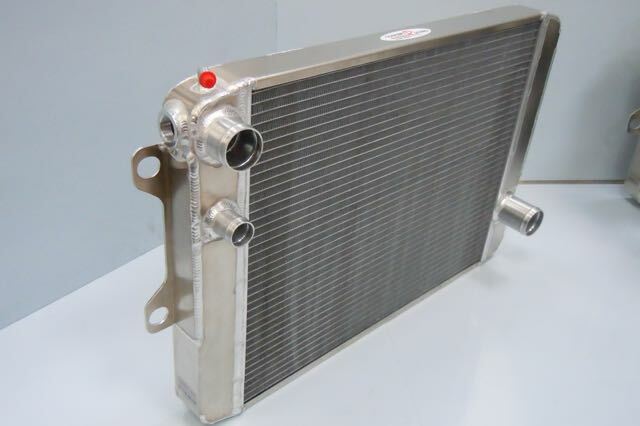 The Concept Racing Sunbeam Tiger Radiator uses a high performance single 42mm dimple tube core. We make 2 variations of the radiator, a single pass version and a multi-pass version. 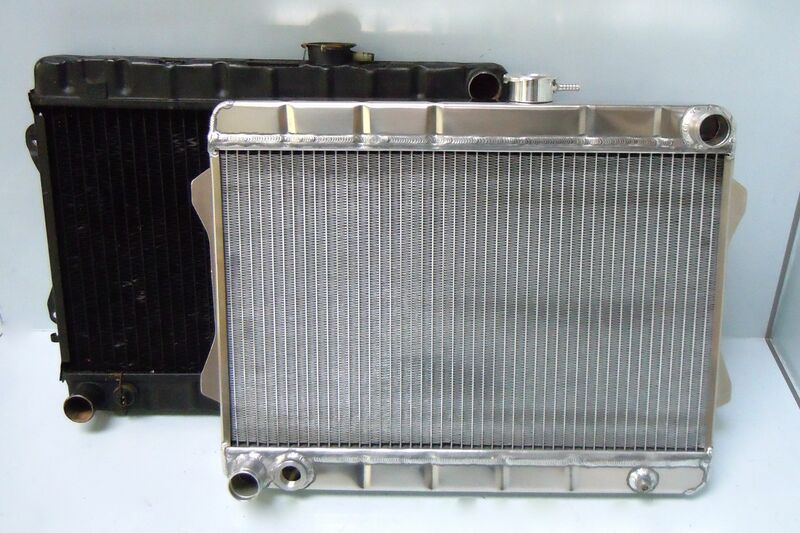 The multi-pass uses baffles to send the coolant through the core 3 times thereby futher aiding cooling. 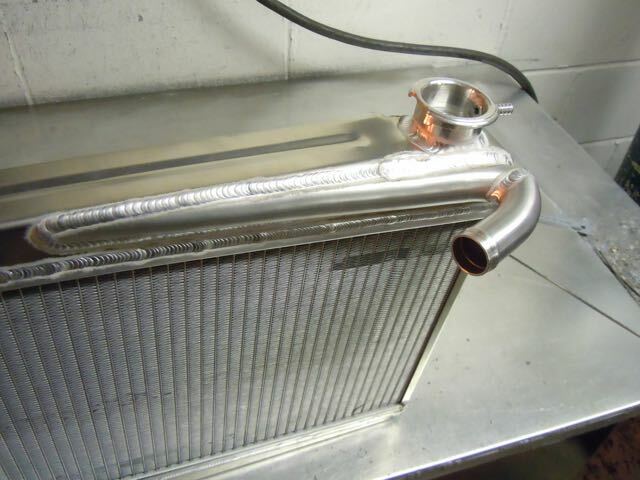 Many Tiger Club members are getting really good results with our radiators. 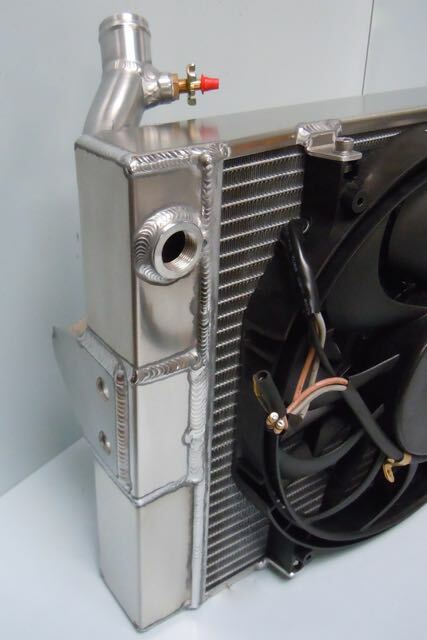 Concept Racing can also fit the Tiger Radiator with fan mounts to take mount a highly efficient Spal fan to the unit if required. 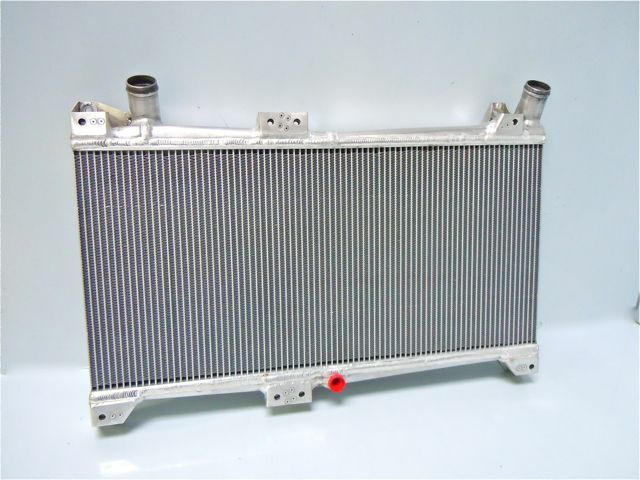 Fitment as per original radiator, however we recommend that all aluminum radiators should be rubber mounted to prevent vibration. 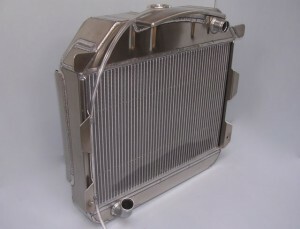 We also sell a rubber mount which the Concept Radiator has been designed to be used with. 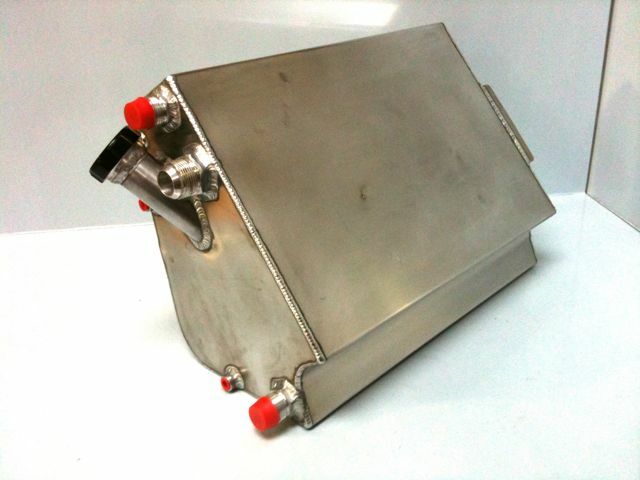 Oil Tank design is one of the key components to an effective Dry Sump System…. Concept Racing are here to help. 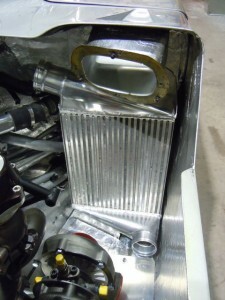 A reduction in oil surge and starvation therefore maintaining a consistent oil supply and pressure – With a wet sump system high speed cornering and acceleration / braking can force the oil to one side of the sump resulting in the pickup pipe being temporarily uncovered and therefore leading to a loss of oil pressure. 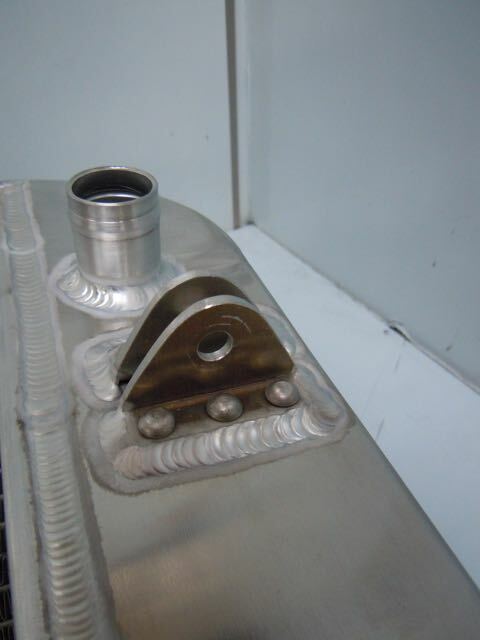 A well designed Dry Sump Tank is not as susceptible to these oil movements. 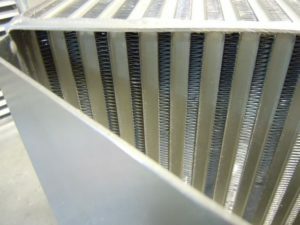 Better de-aeration of the oil – As oil travels through the engine is churned and agitated – the result is an oil and air mixture with a foam-like consistency. A scavenge pump sends this aerated oil to the dry sump tank where the oil and air can be separated resulting in a useful lubricant which exits at the base of the oil tank. 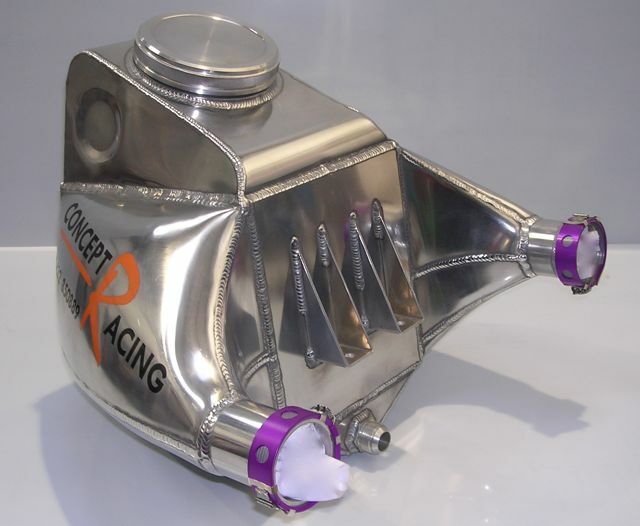 The Concept Racing Vortex Dry Sump Tank is deigned to maximise de-aeration in the top section of the tank whilst baffles slow the oil as it passes through the tank. 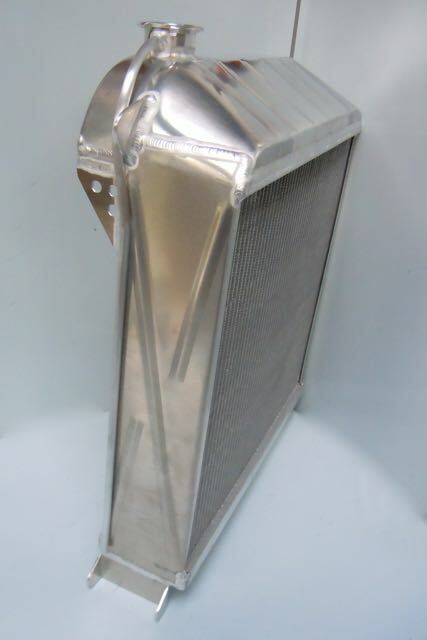 These baffles also help prevent slosh / surge within the tank. 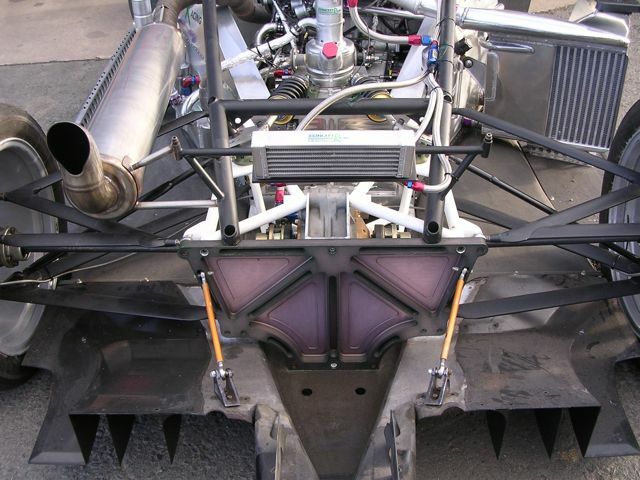 Lower centre of gravity – A shallower sump allows for mounting the engine lower in the car thereby lowering the overall centre of gravity. This shallower sump may also help with ground clearance issues. 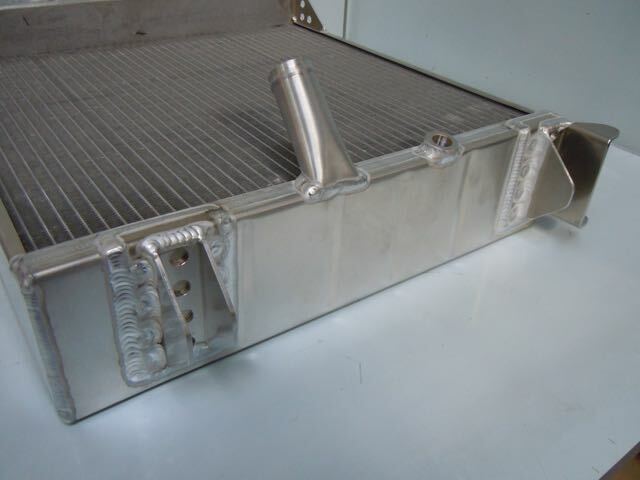 Improved weight distribution – The Dry Sump Tank can be located to another part of the car to improve weight distribution. 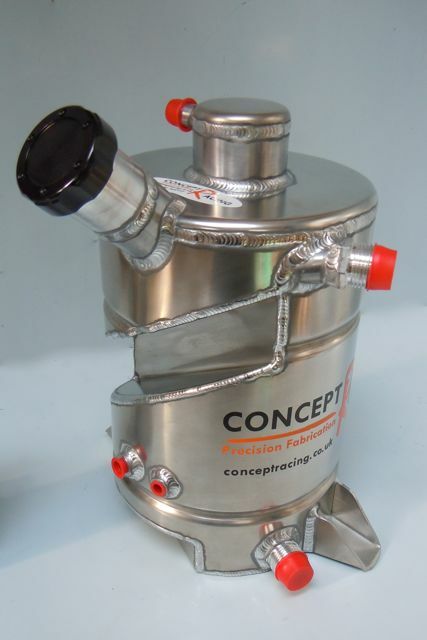 At Concept Racing we are very often asked to design and manufacture dry sumps tanks to fit into some tight / difficult areas – this may be to due to lack of space or to optimise weight distribution. Below are a few examples of bespoke tanks we have created. Where possible we try to utilise our Vortex de-aeration top section while the shape of the bottom of the tank is dictated by the space available. 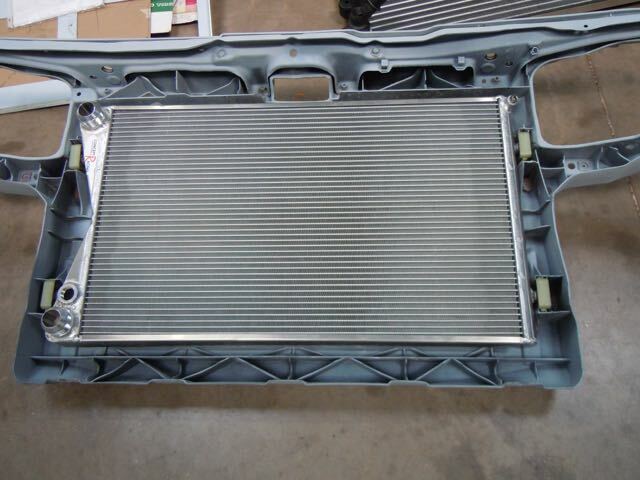 Baffles are then constructed to control the oil flow effectively. Concept Racing also make Cleanable Dry Sump Tanks. 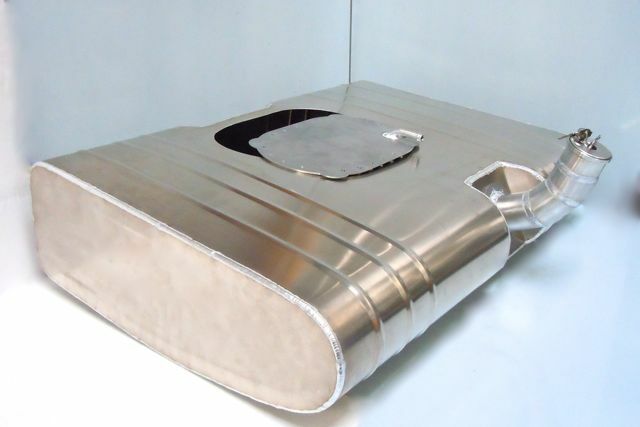 These tanks can be bolted up with top and bottom sections at any orientation making them easier to fit. 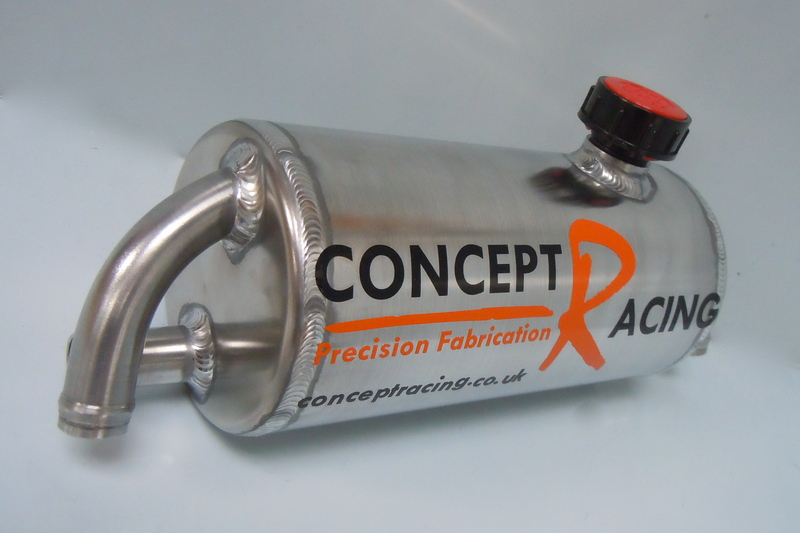 Concept Racing specilise in bespoke / one off fabrications – we can also make our Standard and Vortex Dry Sump Tanks in different shapes, sizes and with different fittings to suit your requirements. 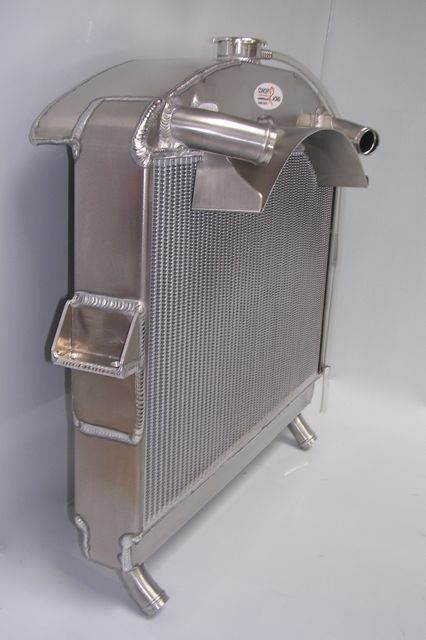 Alternatively we can make tanks to your drawing, pattern or have your car in our workshop to design, make and fit your Dry Sump Tank as well as Oil Catch Tank and Oil Cooler. Please contact usfor more details. 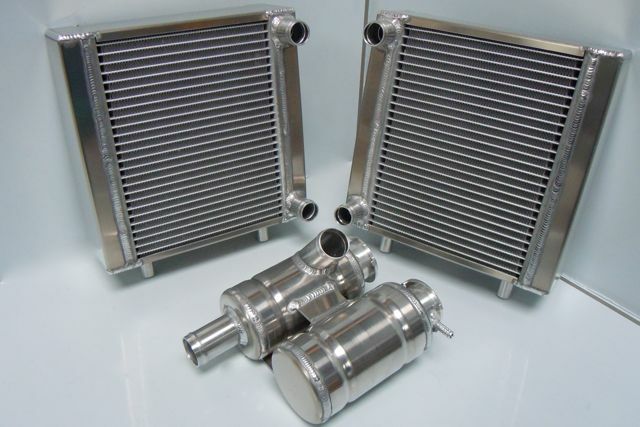 Concept Racing’s lightweight aluminium oil coolers are designed to cool the oil on high performance and competition engines. 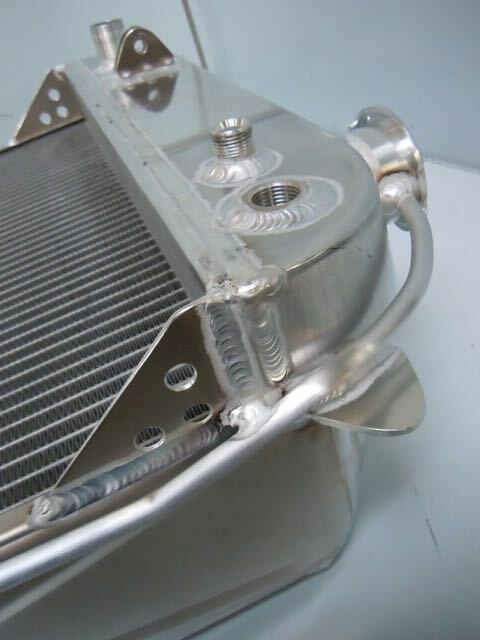 At Concept Racing we aim to make oil coolers that are effective at lowering temperature without causing much pressure drop. 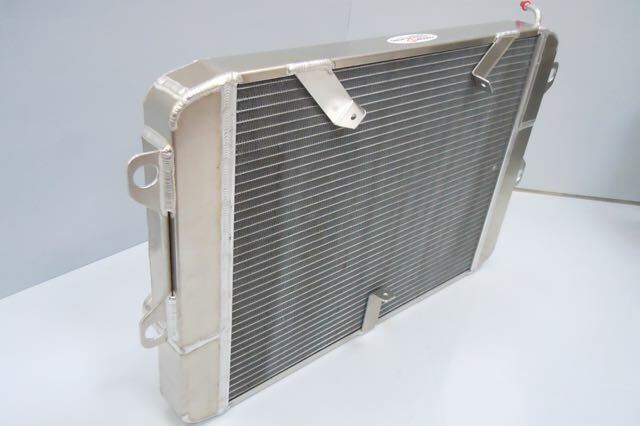 This is achieved by access to a wide range of efficient cores combined with end tank designs that maximise flow of oil through and across the core’s tubes. 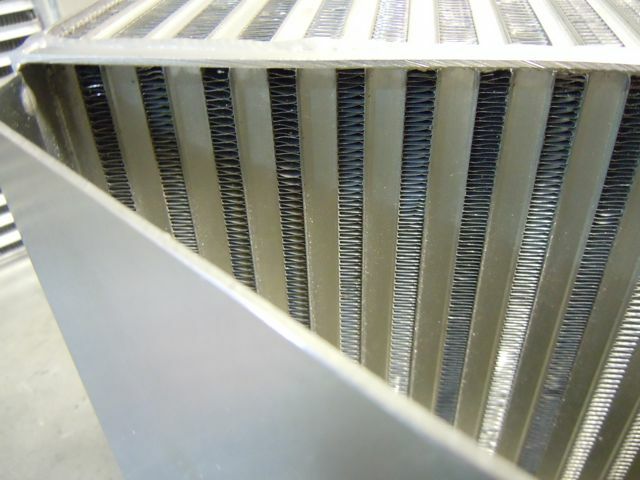 Cores are designed to allow oil to flow as freely as possible through the tubes whilst heat transferred away by louvered fins. 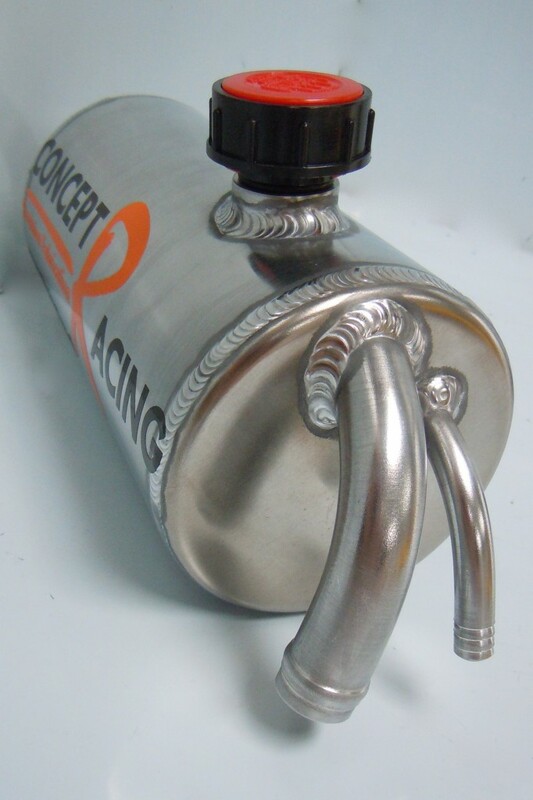 Tubes also have an internal fin / turbulator which improves heat transfer. 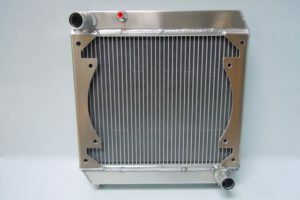 We are often asked to make oil cooler and water radiator combinations and have manufactured some interesting solutions which can be divided in the event of an engine failure. 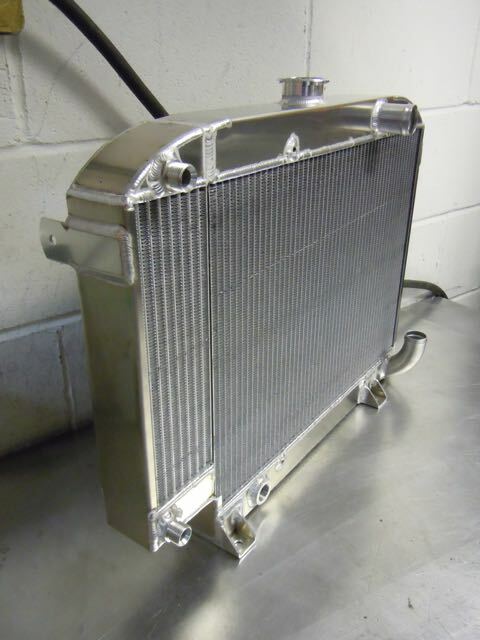 We cannot emphasise enough that if you have an engine failure you need a new oil cooler. 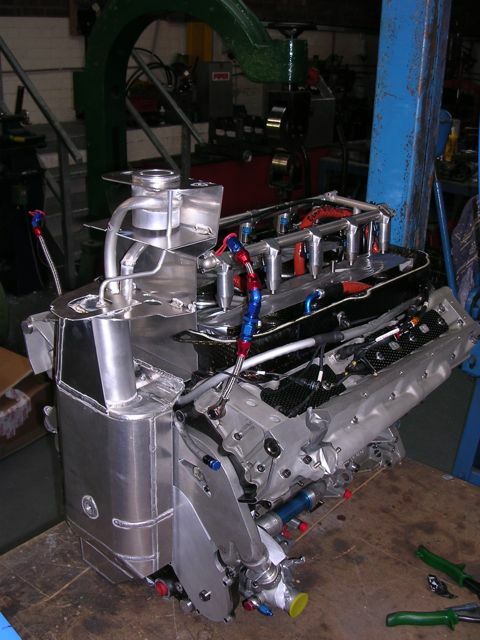 At Concept Racing we specialise in one off / bespoke fabrications. 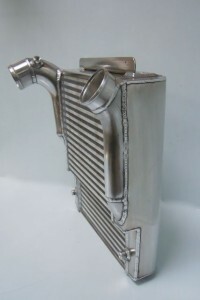 We make a wide range of parts from pattern, drawing or a cardboard box mock up please contact us to discus your needs. 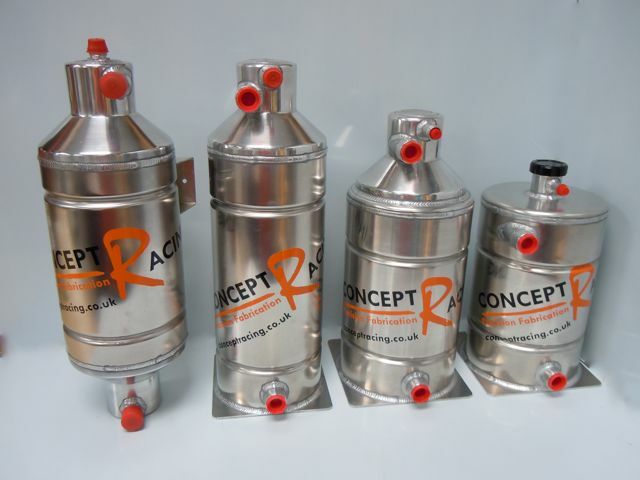 We have an “off the shelf” range of fuel tanks available from our online shop. These tanks have a black knurled screw on cap, splash bowl and sight gauge. 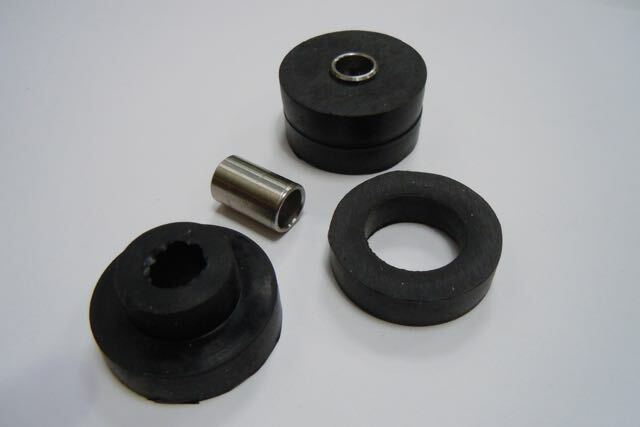 Fuel outlets are 8mm outside diameter and the sight gauge outlets are 6mm outside diameter. 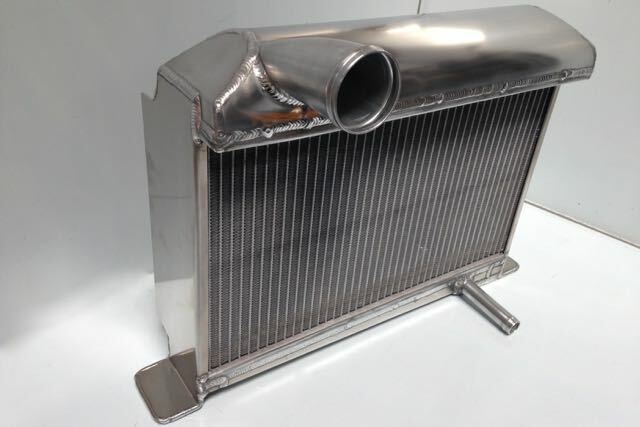 The products in our standard product range can be supplied with different pipe sizes, angles or body sizes to suit your requirements – Any variation on the standard product is possible. 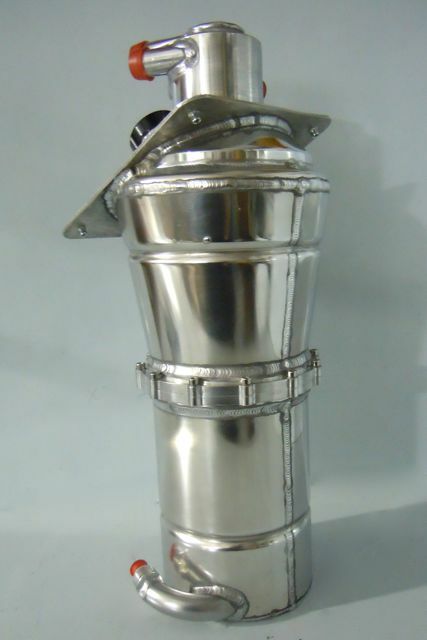 VDO dip tube sender flanges, fuel injection returns, dash fittings or roll over valves can be added at extra cost please contact us for details. 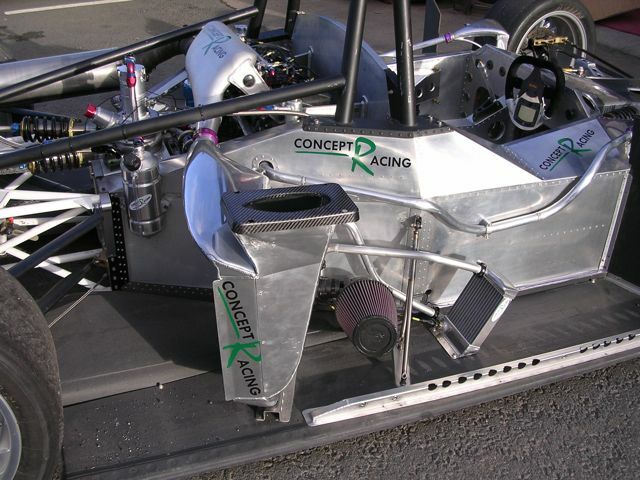 At Concept Racing we specialise in one off / bespoke fabrications. 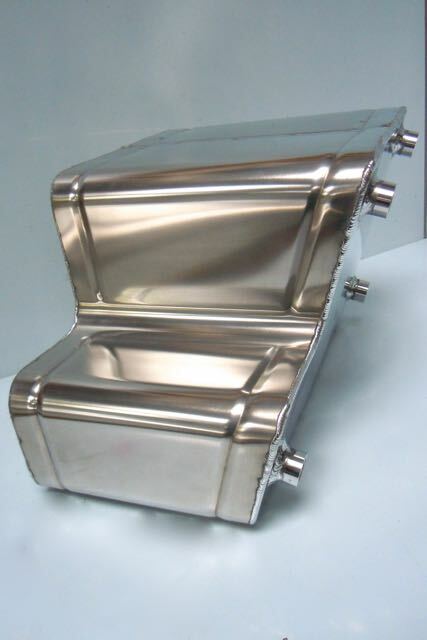 We make a wide range of parts from pattern, drawing or a cardboard box mock up. We will have a go a most things and are often contacted to help solve problems or make parts that people are struggling to replace. 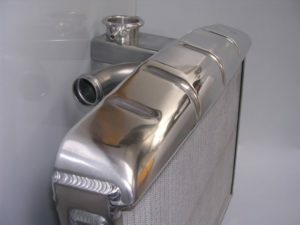 We have made fuel tanks of all different sizes and shapes as well as bag tank covers, extra capacity fuel tanks for long distance rally cars, replica fuel tanks for numerous classic and vintage race cars, tanks with one way filler valves to meet race regulations, bulkhead covers, fuel tanks with internal collectors and internal swirl pots, remote fillers, even combined fuel and oil tanks. 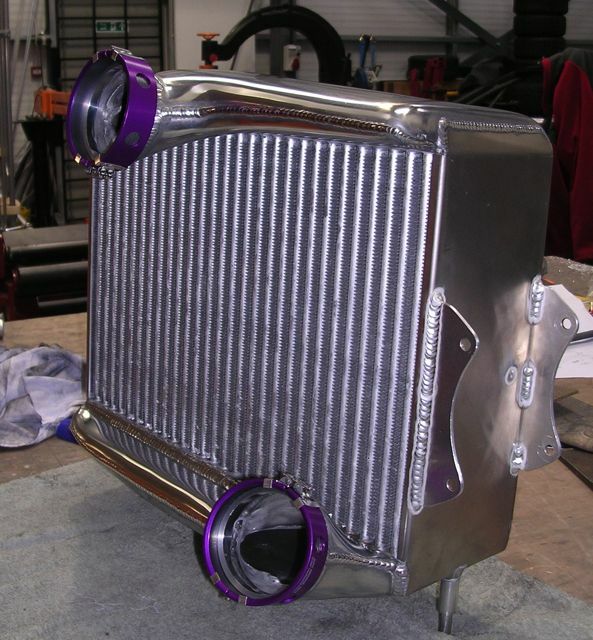 Photos of many of these can be found in the fuel tank section of our website. 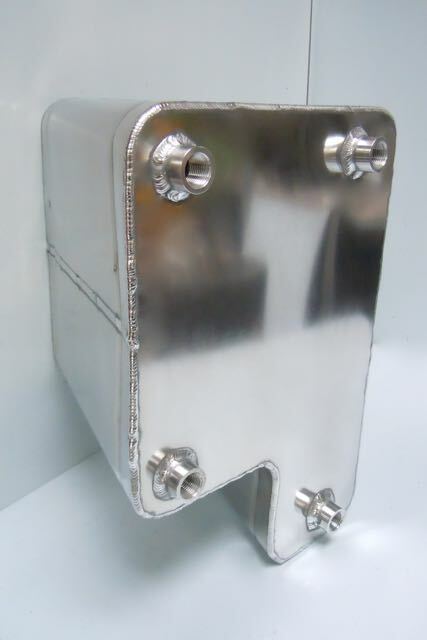 Aluminium bag tank cover with locking cap. 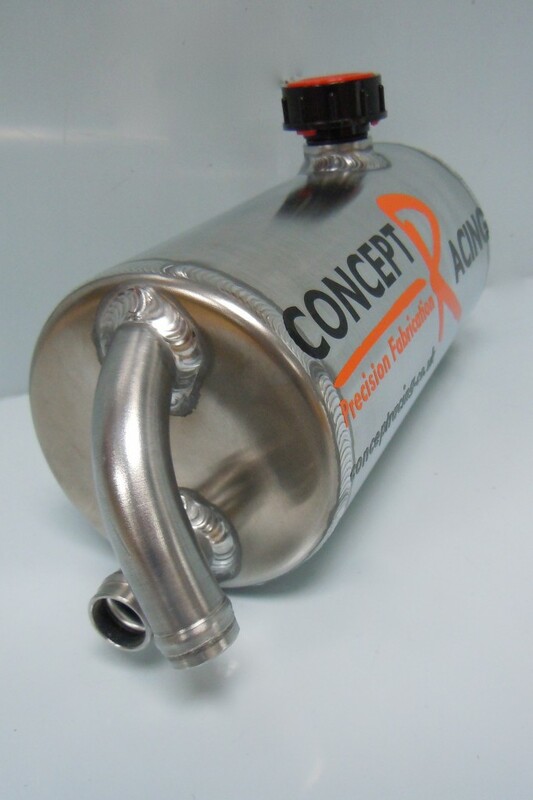 In a forced induction system air is compressed by the turbo / supercharger. 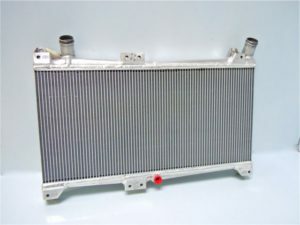 When air is compressed it is heated – the intercoolers / chargecoolers job is to reduce the temperature of this hot air before it gets to the engine. The colder the air, the more dense it is and the more molecules of oxygen it has. 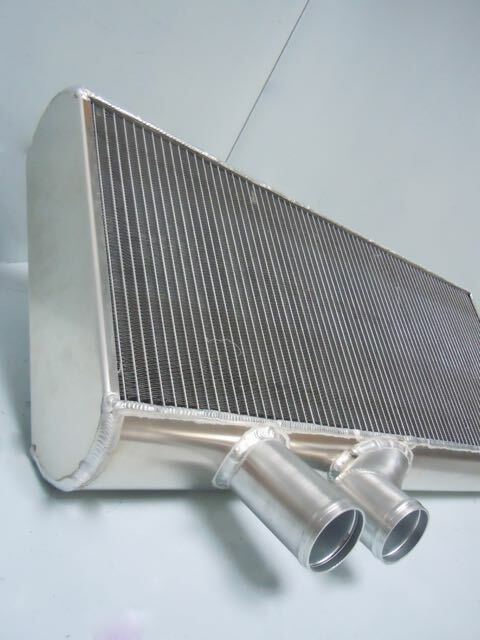 Therefore the intercooler improves the combustion process which results in more horsepower and as well as less detonation. 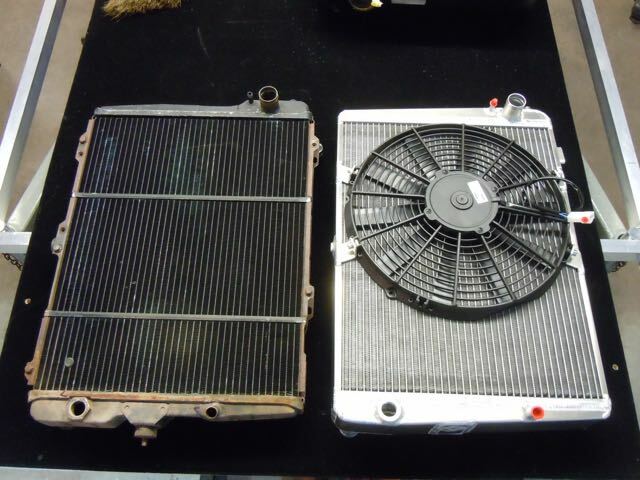 Both devices have the same aim which is to reduce the temperature of the charge air between the turbo and the inlet manifold but not result in too much drop in the pressure created by the turbo / supercharger. 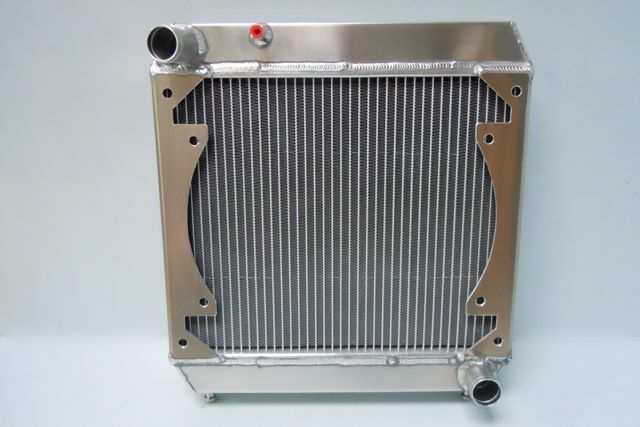 A Chargecooler is a water-to-air heat exchanger. Hot air from the turbo passes through one side of the core while cold water is passed though the other side. This water is then re-cooled by passing it through a small radiator at the front of the car. 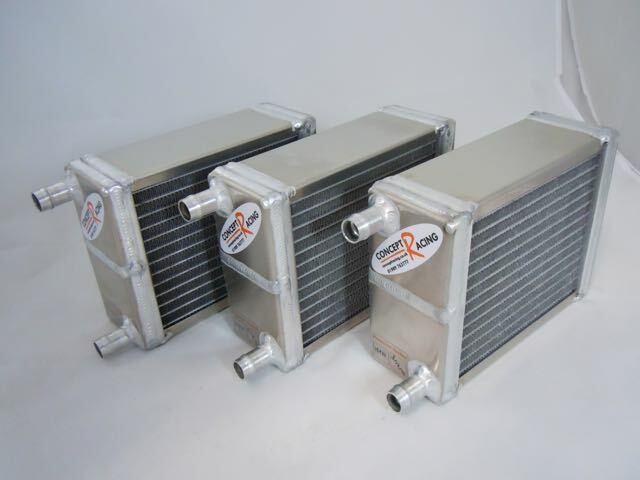 This system is more expensive due the core being more complicated and the need for an extra radiator, however it does allow for better placement and short pipe runs and therefore offer less Turbo Lag. 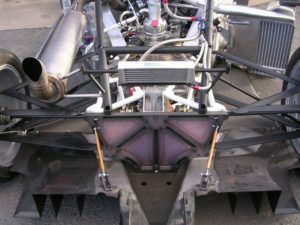 It also means that the core is protected rather than being exposed at the front of the car like an intercooler but does increase the weight in a race car as well as taking up more space. 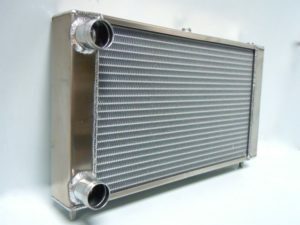 An intercooler is an air-to-air heat exchanger. Hot air from the turbo passes through one side of the core (inside the tubes) while cold passes through the other side (through the fins). Both the flow of cold air and the flow of hot air are important. 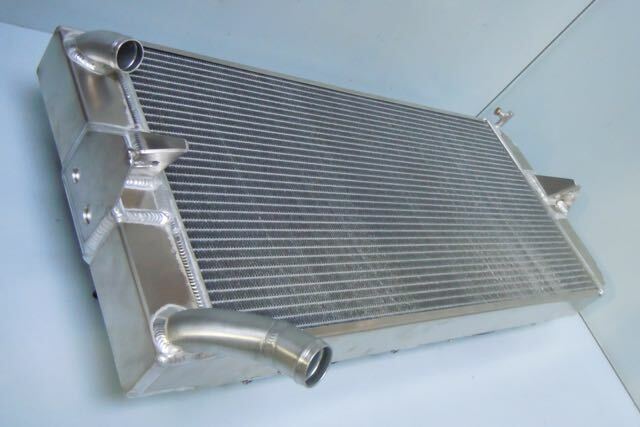 At Concept Racing we aim to make intercoolers that are effective at lowering temperature without causing much pressure drop. 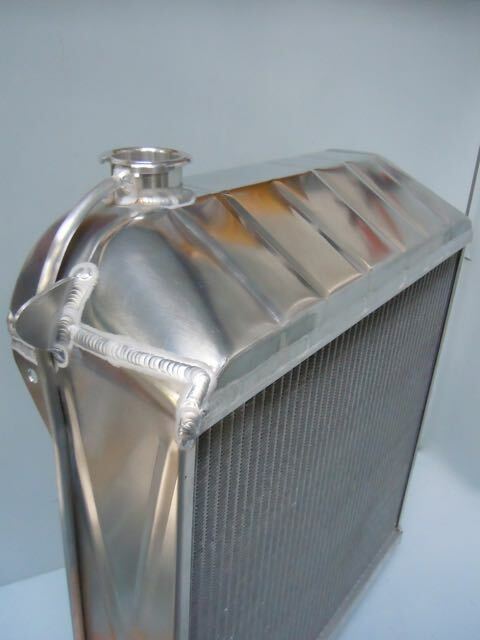 This is achieved by access to a wide range of efficient cores combined with end tank designs that maximise flow of air through and across the core’s tubes. Cores are designed allow air to flow as freely as possible through the tubes whilst heat transferred away by louvered fins. 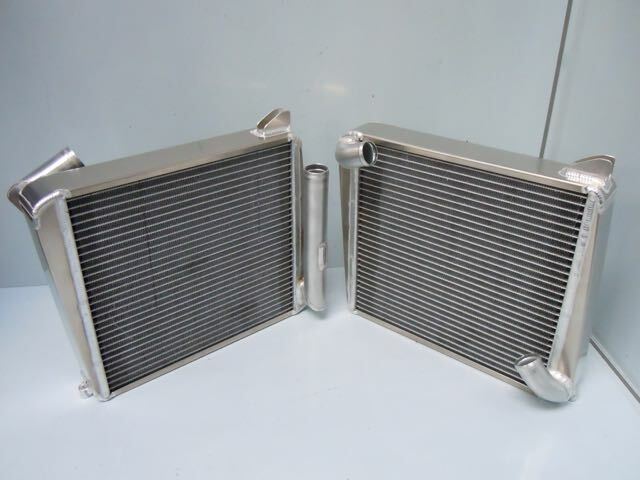 Tubes also have an internal fin / turbulator which improves heat transfer. 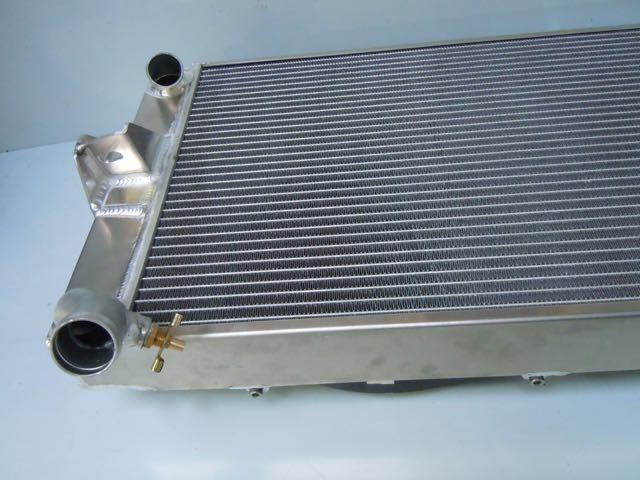 Core choice depends on the positioning of the intercooler and therefore the flow of air pre and post the intercooler core as well as available space. 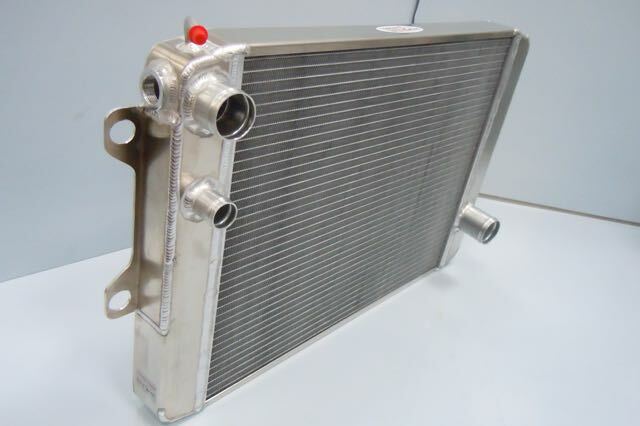 We source cores according to the project requirements. 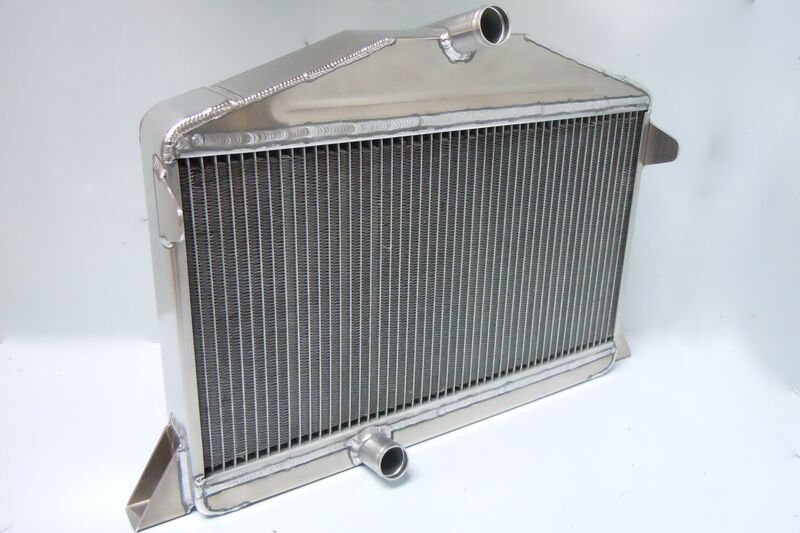 Some cars require aerospace style coolers, which are a welded plate and bar construction, whilst most will find that braised tubular construction is sufficient. To discuss your project please contact us by email, phone, fax or post. 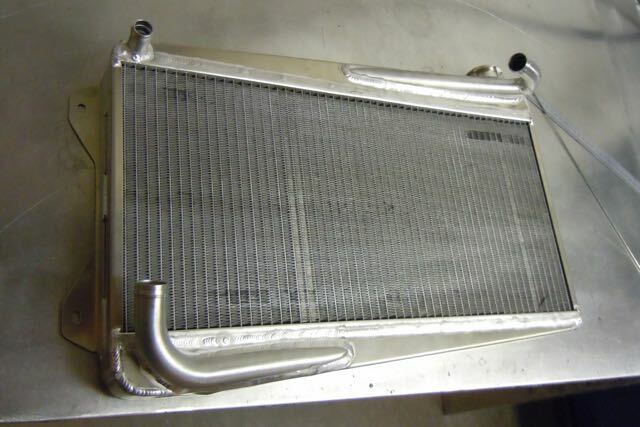 Concept Racing Vortex Supercharged Hyabusa – It was a Concept Racing Project it had to have both an intercooler and a charge cooler – It’s what we do!!! 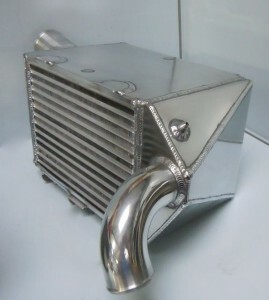 Sauber Mercedes C11 Intercooler using aerospace cores with shaped end tanks to improve flow of air across the core. 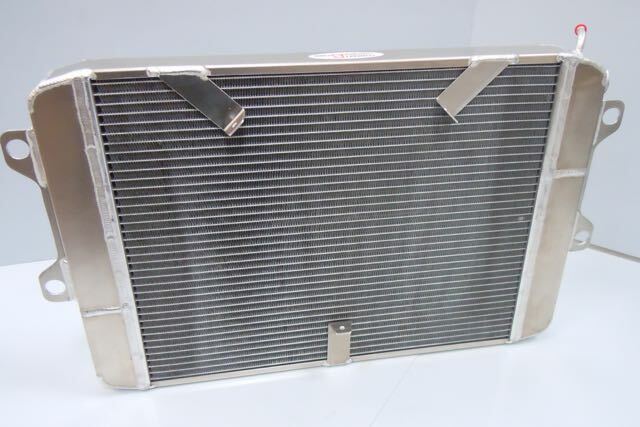 Concept Racing’s Replica Aluminium Radiators give customers huge weight savings and greatly improved cooling. 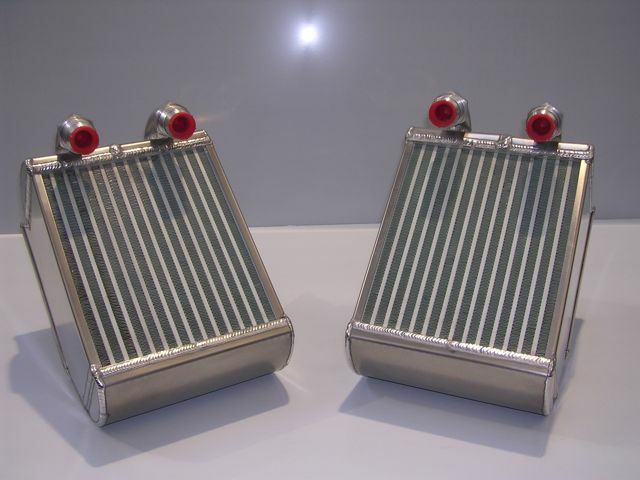 These high quality, hand made alloy radiators can be manufactured from your original sample radiator, cardboard template or simply send us your drawing / sketch. 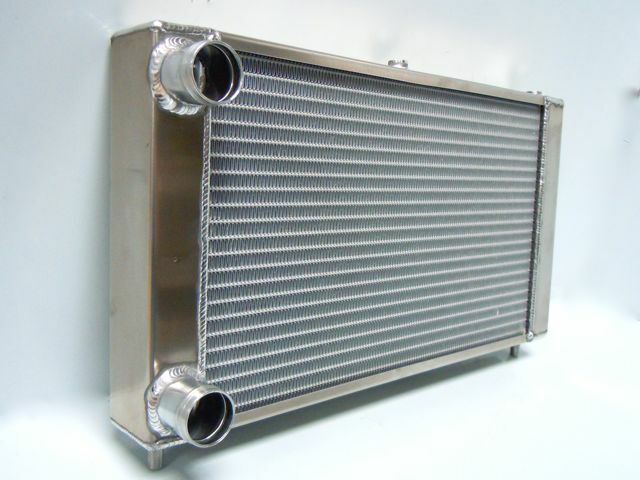 Radiators can be made to almost any size and shape, with whatever tube sizes, fittings and mounts required. 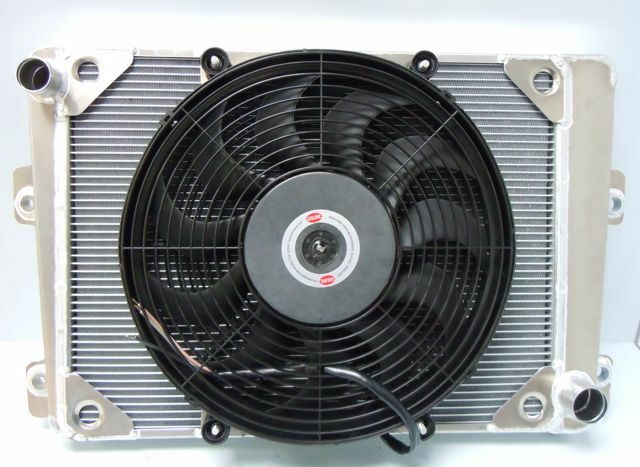 We can also sell and mount fans.